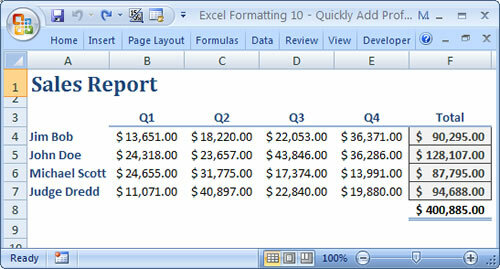 In Excel 2007 and later you can quickly remove the gridlines that appear within the Excel worksheet. This allows you to view the worksheet without any lines in it. You won't see the outline of any cells and this may not seem like a good idea. However, this allows you to make really clean looking spreadsheets in Excel and allows you to put focus on certain elements within the spreadsheet. This is especially helpful when creating forms in Excel; when doing this you don't need or want extra gridlines within the spreadsheet.